Interested In Participating In The 2019 PAPERS Study? 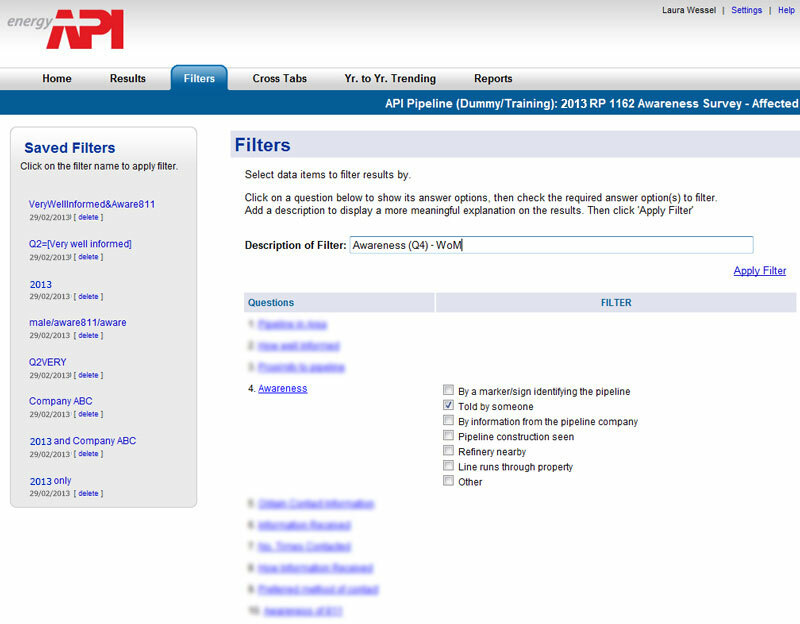 The American Petroleum Institute (API) has issued guidance to U.S. pipeline operators to improve public awareness of pipelines. The purpose of the guidelines, known as Recommended Practice 1162 is to reduce pipeline accidents, which are often attributable to digging by homeowners, contractors, and farmers. PAPERS was developed and supported by API, the Association of Oil Pipelines (AOPL), and the Interstate Natural Gas Association of America (INGAA) as a robust, uniform, and cost-effective mechanism for satisfying all of the requirements of the Program Evaluation section of RP 1162 First Edition. This joint survey program is designed for transmission pipeline companies and is conducted every two years. The data collection methodology used for the PAPERS program is designed to maximize the amount of data collected while minimizing any measurement error from the survey responses – all in a manner that is most respondent-centric for survey respondents and budget conscious for program participants. For the Affected Public, direct mail methodology is used, with an option to participate using an online instrument. For the three Additional Audiences (i.e., Emergency Officials, Public Officials and Excavators), a telephone methodology is used. To provide the most accurate and robust survey results, the desired sampling frame for the Affected Public and Additional Audiences are based on the database used to fulfill an operator's pipeline awareness campaign. 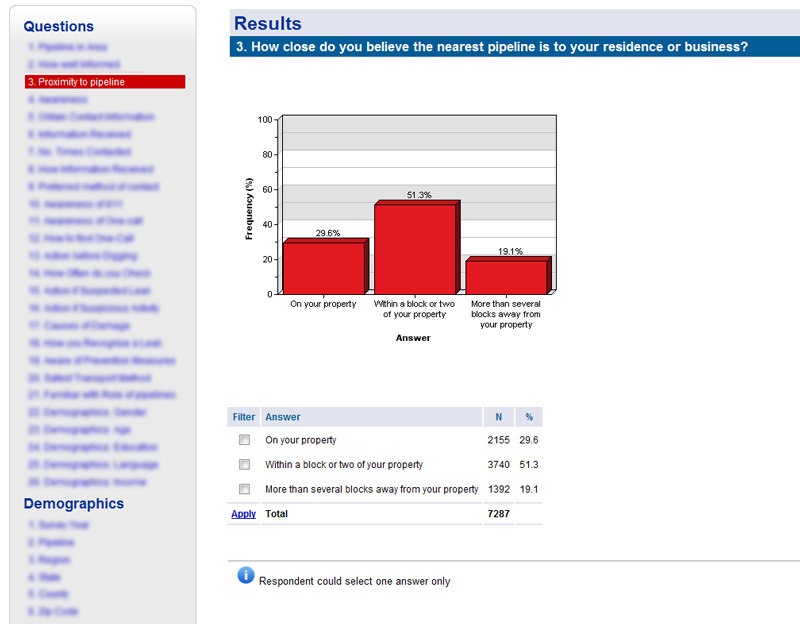 With this information, a sufficient number of potential respondents are randomly selected to complete the survey. The determination of sample size depends on the size of the operator and the number of completed responses desired. A minimum target quota, designed to provide sufficient levels of precision to draw conclusions regarding the levels of effort and success in meeting the regulatory requirements of RP1162, has been developed and applied. Nevertheless, given the best-in-class methodology, the vast majority of participants in the PAPERS program exceed these minimum target quotas (often by levels of 2x, 3x, or 4x+). The PAPERS sampling structure also allows for oversampling in case a participating operator wants to obtain additional completes for either specific target areas or across the entire pipeline. The PAPERS program allows quantifiable measurements over time so that participating pipeline operators have a tool to help understand successes or barriers of the instituted programs. Using a secure reporting portal, companies can review their individual survey results in the form of compliance metrics, including national, regional and other peer group-based benchmark comparisons in order to assess awareness metrics for each of the target survey audience groups. Companies can apply the findings from the PAPERS program to guide any future improvements in the company's public awareness program. 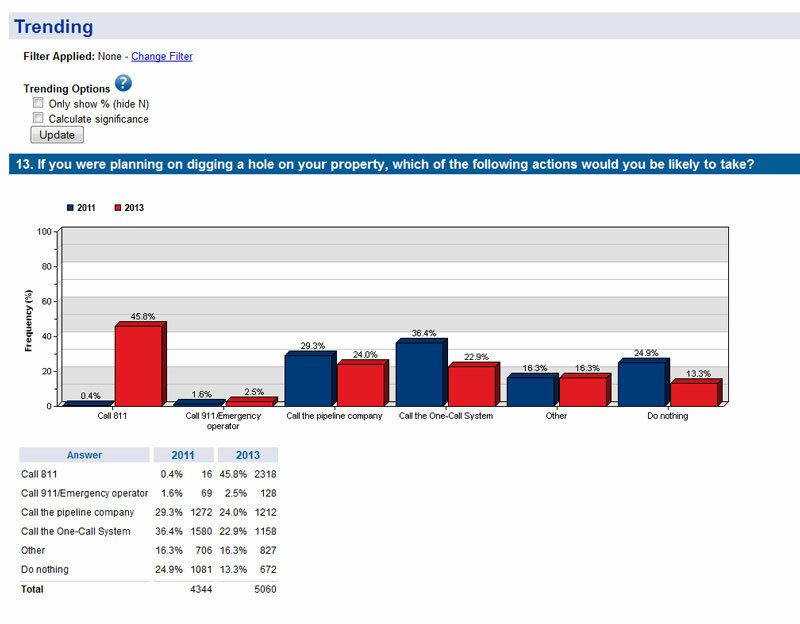 The study provides a range of standard, customized and online reports. In order to fulfill the objective of providing conclusions and recommendations, an Aggregate Report will be produced displaying the results of all study metrics to identify key findings, trends, and implications across companies. This cross-company report will fulfill two objectives. First, it will provide a set of universal themes that should be considered for public awareness policy making purposes. Second, it will provide a proper context for understanding and differentiating the results obtained at the individual company level. To support this Aggregate Report, multiple telephonic briefings with the participating companies to review the findings will be conducted, designed to "connect the dots" between the results, actions, and improved public awareness. 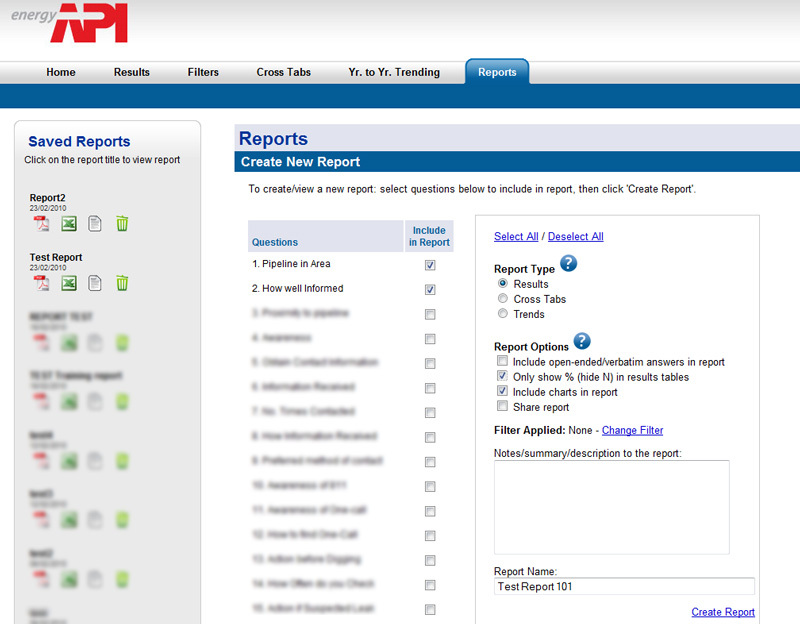 Using the Aggregate Report findings as a guidepost, Company-Specific Reports will be provided. This report will provide operator-specific results for both the current year and trended over time and benchmarked against the industry. This report will contain operator-specific key findings, trends, and implications which will be shared during a 90-minute telephone or on-site briefing. In order to assist with PHMSA's reporting compliance, a Compliance Report will be produced for each participating pipeline company. This report will contain the findings that directly address the Liquid (195.440) and Gas (192.616) Pipeline Public Awareness PHMSA reporting requirements (with the 195.440 and 192.616 language being linked to the relevant results). If available, the most recent two years of historical data will be included in this report to illustrate trending. The report structure is static across all participating companies and will contain just the participating company's results. For additional information or to register for 2019 PAPERS please contact Crystal Harrod or Sam Minifie. The PAPERS program provides robust, uniform, and cost-effective mechanism for satisfying all of the requirements of the Program Evaluation section of RP 1162. Consistent with the scoping in previous years, base product costs are based on three potential profiles of participating companies, the smallest of which is 13 participating companies (10 large companies and 3 small companies). Historically, between 15 and 26 operators have participated in each years' study, though if fewer than this minimum number of companies participate in this study the total costs (excluding data collection costs) will be redistributed among the participating companies. Who should participate in the PAPERS program? Operators looking to meet the requirements of the Program Evaluation section of RP 1162 can utilize PAPERS - a robust, uniform, and cost-effective program – as part of these efforts. PAPERS is designed for transmission pipeline companies. What can the PAPERS program tell a company? Is the information reaching the intended stakeholder audiences? Are the recipients understanding the messages delivered? Are the recipients motivated to respond appropriately in alignment with the information provided? The answers to these key questions will help a company determine where and how its public awareness program can be improved. The PAPERS program provides each company with its own results and the aggregated results of all other companies participating in the same survey round. 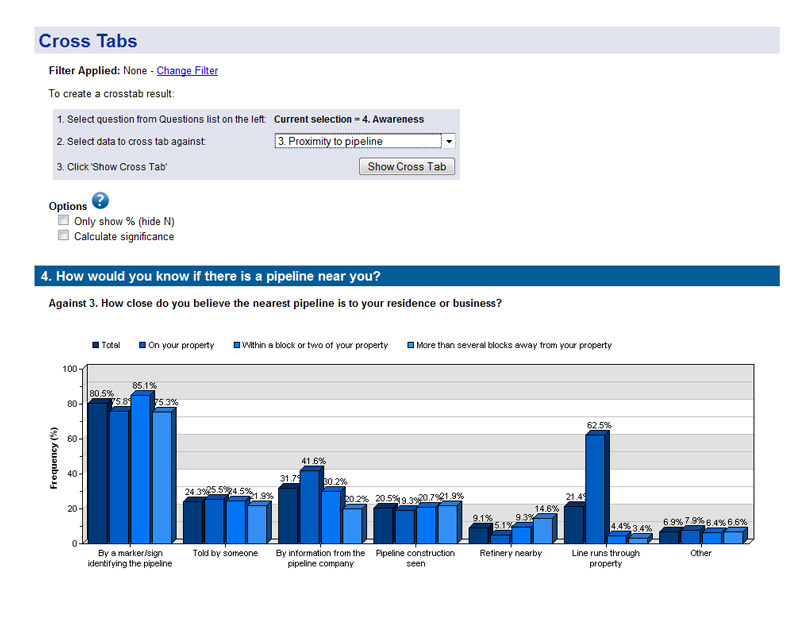 The two data sets allow companies to compare their individual performances against an "industry" average. How many responses must be tallied for a completed survey? Depending on company size, a minimum of either 400 or 235. These target quotas were designed to provide sufficient levels of precision to draw conclusions regarding the levels of effort and success in meeting the regulatory requirements of RP1162. Given the best-in-class methodology, the vast majority of participants in the PAPERS program have historically exceeded these minimum target quotas (often by levels of 2x, 3x, or 4x+). When is the next PAPERS study scheduled to be conducted? PAPERS is conducted every two years and was fielded in 2007, 2009, 2011, 2013, 2015 and 2017. The 2019 PAPERS study is scheduled to be fielded in July, 2019. When is the signup deadline for participating in the 2019 PAPERS program? Operators interested in participating it the PAPERS program should signup by May, 2019.
Who is sponsoring the PAPERS program? API, AOPL and INGAA developed and support the PAPERS program. Customer Care Measurement & Consulting (CCMC), a survey research firm with over 40 year of experience, has administered the PAPERS study since 2009.
Who should I contact to take part in PAPERS? Companies interested in participating in future surveys should contact Crystal Harrod (202-682-8492 or harrod@api.org) or Sam Minifie (202-682-8407 or MinifieS@api.org). They can provide information about how the program works, including services offered and costs. API, AOPL and INGAA developed and supported the PAPERS program. © 2019 Customer Care Measurement & Consulting. All Rights Reserved.